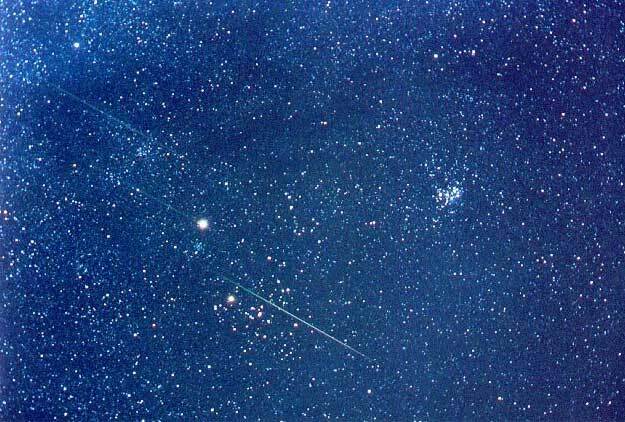 Explanation: As meteor after meteor streaked across a moonless sky, photographers across the world snapped pictures of the 2001 Leonids Meteor Shower. Many recognized this as the best meteor shower they had ever seen. 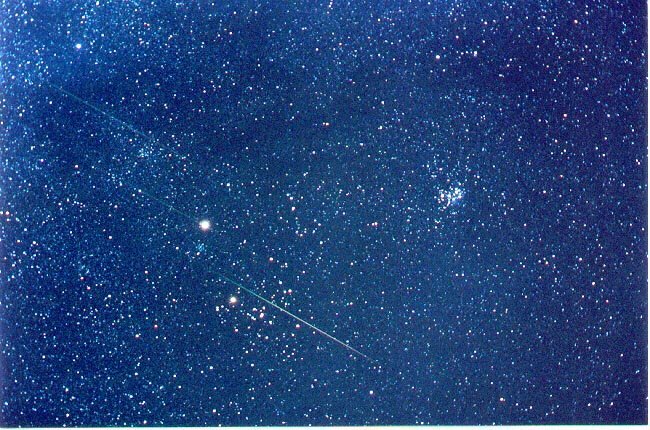 In fact, the 2001 Leonids was the most active meteor shower since the mid-1960s. The above photo captures three Leonid meteors crossing a photogenic star-field. On the far right is the Pleiades star cluster. The brightest meteor crosses right in front of the Hyades star cluster, situated below the image center. Just left of center is the bright planet Saturn, and the bright star below Saturn is Aldebaran. The ten-minute exposure was taken near Victoria, British Columbia, Canada at 2:45 am PST on 2001 November 18.